The main railway station of Haarlem. 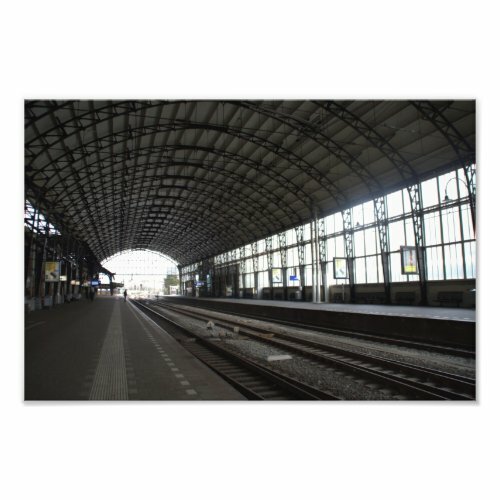 Its name is simply Station Haarlem. The station, in use since 1842, is one of the oldest in the country. The original station building did not survive, it was replaced by a new building in Art Nouveau style at the beginning of the 20th century. This building opened in 1908 and is still in use today. The photo shows the inside of the station, with platforms, rails and train shed.